Fighting a lower belly bulge is a very tricky thing, even for those who love sport and fitness. 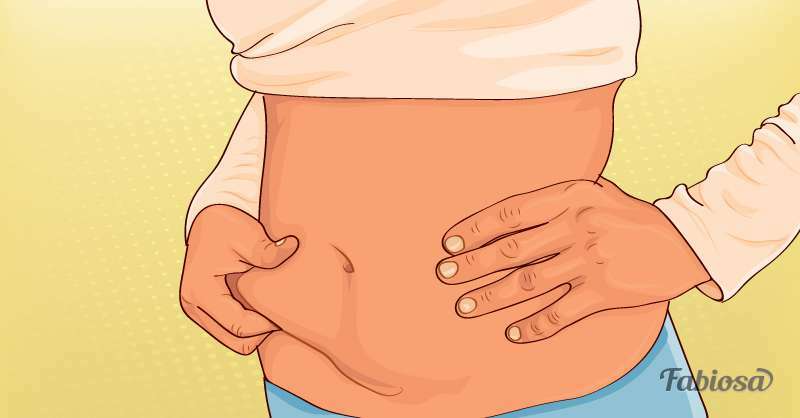 Many ladies all around the world have hunted for effective exercises to get a flat tummy, but at first, let’s learn more about the lower belly pooch. Belly fat is a common cause of this problem. Body fat is a strange thing because you can’t train it as your muscles. It is very difficult to burn fat in the particular area you want because your body usually decides itself where it wants to lose weight. It is especially true for women. You just can't "spot treat" it. Instead, you have to lose fat overall. Ladies typically store their fat in the lower abdominal area because of their hormonal levels. So you need not only exercise but control your diet to stay in shape. Here is what you can do to fix the problem. Limit your calorie intake. Eat protein-rich foods, fruits, and vegetables. Drink plenty of water, as being hydrated is essential to maintaining your body's weight and normal function. Do some aerobic exercises. Include strength and interval training. Change your lifestyle. Reduce your stress levels and sleep enough. Stay motivated. Loosing weight can be a long journey. Think of finding a diet or exercise buddy. Stay on track. Take measurements and keep your food diary. Your belly can be not as flat as you want if your abdominal muscles are underdeveloped. Your transverse abdominal muscles work like a corset and make you look smaller and thinner. As it turns out, usual ab exercises mostly affect the upper abs, while they don’t work for transverse abs. This post is solely for informational purposes. It is not intended to provide medical advice. Fabiosa doesn’t take responsibility for any possible consequences from any treatment, procedure, exercise, dietary modification, action or application of medication which results from reading or following the information contained in this post. Before undertaking any course of treatment, the reader should consult with their physician or other health care provider.